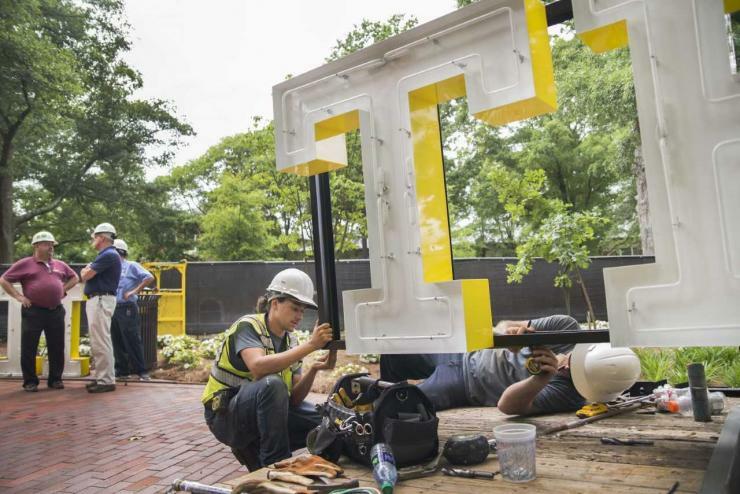 The T-E-C-H letters atop the Lettie Pate Whitehead Evans Administration Building are being replaced, beginning today. The interior lighting components are switching to a newer technology, but the new letters will have a look and feel like the old ones. The project is expected to take six days, depending on weather conditions. 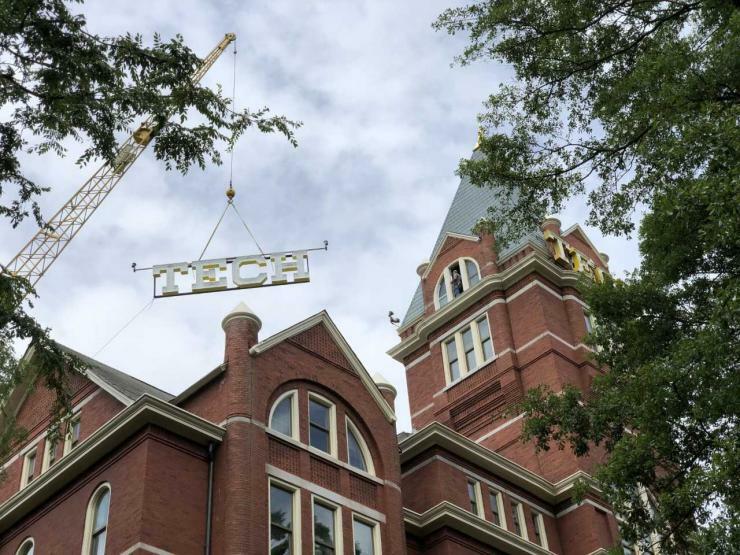 Tech Tower will remain open for business. The new letters will be less cumbersome from a maintenance perspective, while also being more consistent and durable. But they will not look noticeably different; they still will be neon, ensuring that the color is not altered. 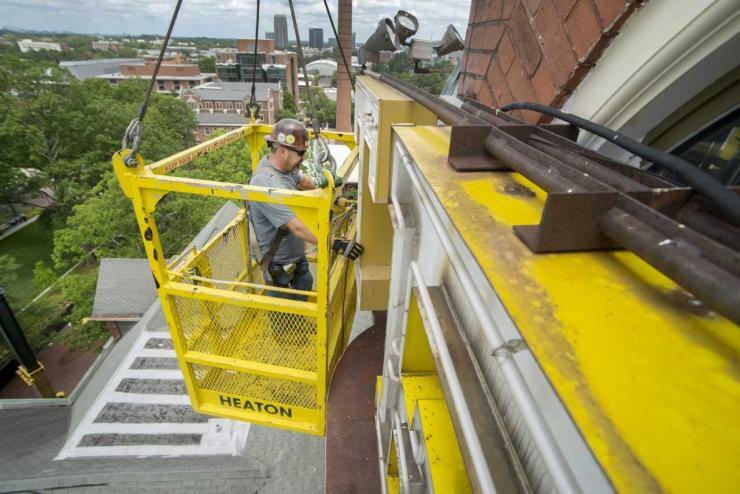 The process to remove and replace the letters is a two-phase one: Phase 1 (on the west side of the tower) requires a 60-ton crane, and Phase 2 (on the north side of the tower) requires a 45-ton crane to facilitate this task. Some tree branches close to Tech Tower will be removed to allow better access. Tech Tower was one of the original buildings when Tech opened its doors in October 1888. In 2015, the building was closed for more than a year to undergo a major renovation.